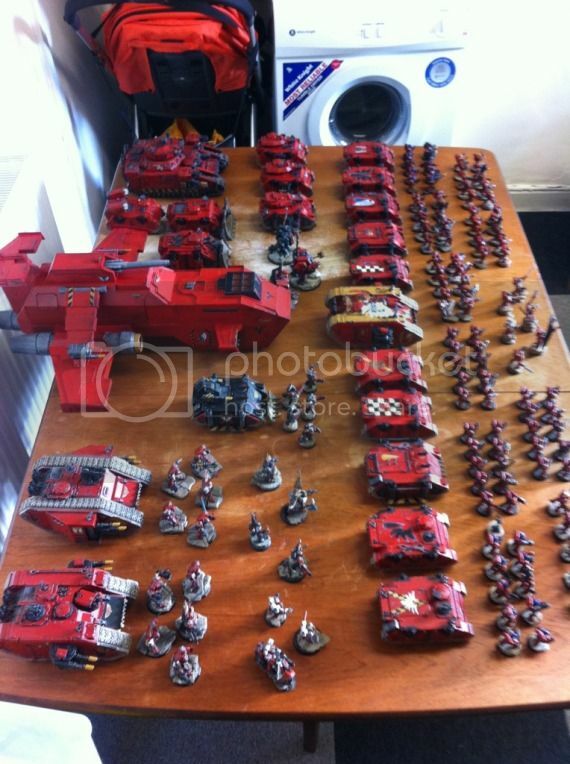 Portal » Board index ‹ Blogs ‹ Cain Tiberius's Blog ‹ BA Blog 12/03/13 Army Pic so far. 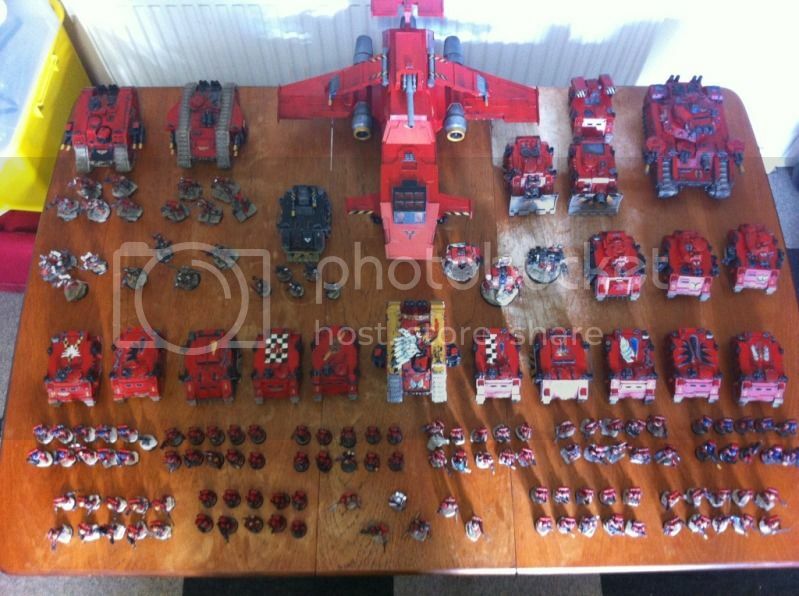 Re: BA Blog 12/03/13 Army Pic so far. Very nice. 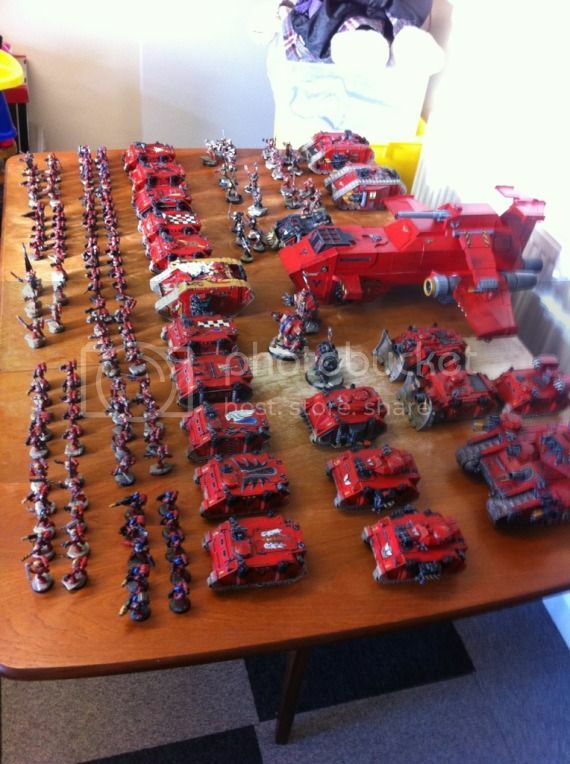 It's larger than my Space Marine army, but only because you have more Rhinos You don't have enough super heavies though!